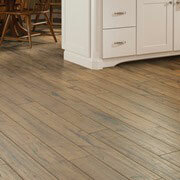 The atmosphere and appearance of any room are influenced more by the choice of flooring than perhaps most realize. ProSource® of Fort Worth offers an incredible range of flooring options for any home remodel, such as carpet, hardwood, tile and luxury vinyl. It’s no wonder that our showroom is the obvious stop for any trade pro and their homeowner client. Plus, our comprehensive selection is available at impressive wholesale prices. Treat feet to the comfort that only carpet can provide. 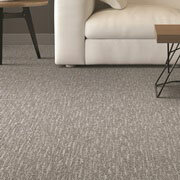 Modern carpet flooring is an easy choice—it’s easy to care for, easy on the wallet, and easy on the eyes. The breadth of styles, colors and patterns can please any design goal. When you visit our showroom, your dedicated account manager will can guide you to a carpet that will look and perform great in any room. The natural beauty of hardwood floors makes them a natural fit for many homes. 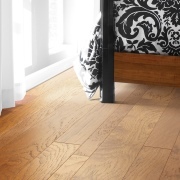 We’re proud to offer several varieties of hardwood flooring, including solid, engineered and renewable wood. Choose from an assortment of species—oak, maple, hickory, Each of these options can grant your remodel a timeless, classy floor. When the look of a hardwood or tile floor is desired, but the budget may prevent it, laminate flooring may be an ideal choice. Laminate can be had in a range of patterns, finishes, and styles. It’s durable, and easy to place, making it a great choice for many home remodels. While the bathroom or kitchen may be the initial inkling of where to install tile, the fact is that tile flooring can look great in almost any room Further, it’s not confined to the floor, as it’s the perfect solution for a backsplash, shower wall, or a surround for a tub or even fireplace. Ask our specialists about the choices available in porcelain, ceramic, travertine, and glass tiles. Incredible styles, sizes and colors await when you choose vinyl--luxury vinyl tile (LVT), luxury vinyl planks (LVP), engineered stone or even sheet. 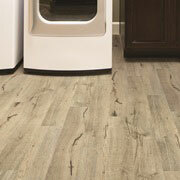 Another beauty aspect is that vinyl can mimic the appearance of other flooring options such as wood or tile. 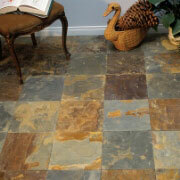 Today’s vinyl flooring options are durable, making them well suited for homes with children and pets.